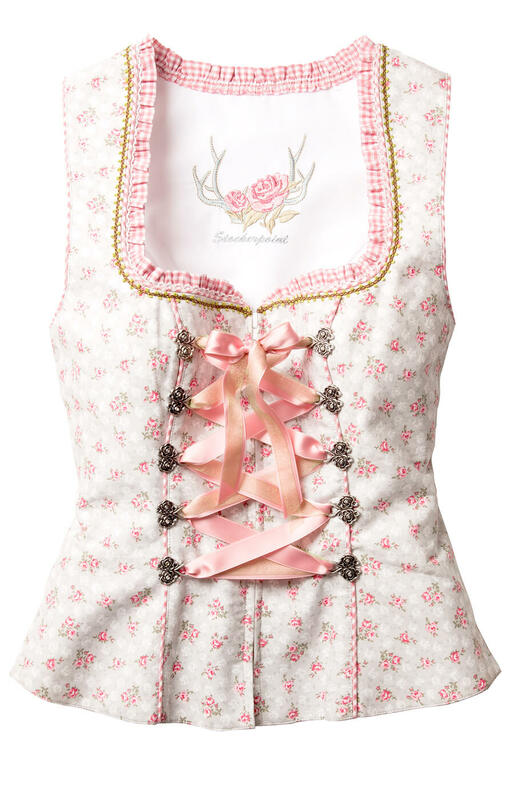 Traditional Dirndl corsage in romantic floral print. Princess seams that follow curves and narrow the waist give our Zelda corsage figure-flattering shape. Pink satin and green chiffon ribbons that lace up through floral Dirndl hooks complement the white floral-printed fabric. Pink gingham piping, a line of green braid, and a ruffle of pink gingham embellish the neckline of this corsage.